Beautiful shot, Misty. Love the reflection in the drop! beautiful! I like the clear sharp drop and the soft Bokeh around it. 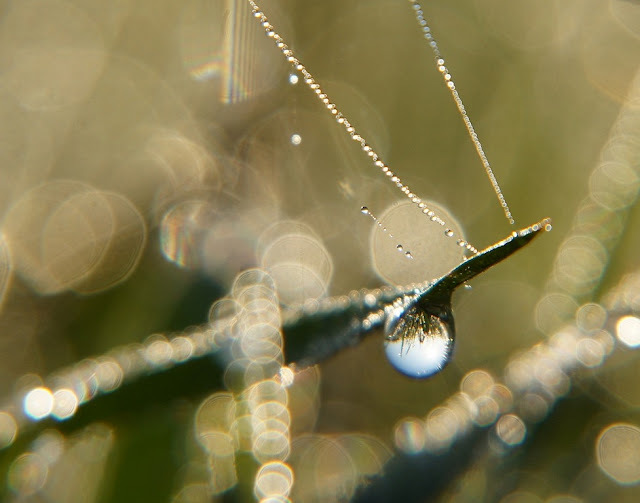 Such magical bokeh and love the necklet of water droplets!